Dryer vents are one of those common fixtures that are nearly impossible to clean, never mind clean properly. These vents are tough to reach, difficult to clean, and require regular maintenance. You might think it is a pain to go through with one cleaning, but strata and multi-unit properties require once annual maintenance at a minimum. Instead of struggling throughout the year, just call a Gorilla! Our Maple Ridge dryer vent cleaning keeps co-op living spaces and multi-unit properties running smoothly throughout the year. It is easy to assume that air will simply blow bits of lint and debris right out of your vents. In an ideal world, this is exactly what would happen but things do not always go according to plan. With each load of laundry, small bits of debris sneak passed the traps and screens designed to keep large pieces out. Once inside the vents, these pieces of lint and other materials become stuck to the side of ducts. Over time, this build up restricts airflow. The less air that can pass through, the greater the chance that your clothes will be left damp. This means double-drying and a whole lot of wasted energy. In an increasingly eco-conscious society, it is important to maintain the lowest environmental impact and the lowest impact on your wallet! The good news is that you can do both with a little help from a Gorilla. 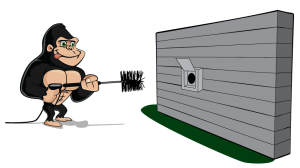 Why Choose Gorilla For Your Maple Ridge Dryer Vent Cleaning? Don’t let clogged vents rack up your bills when there is a cost-effective solution right around the corner. The friendly Gorillas in your area provide competitive pricing and expert results for your Maple Ridge dryer vent cleaning. Each and every Gorilla is local to your area and is highly-trained before they ever set foot in the field. This means that you are getting the best results, each and every time. 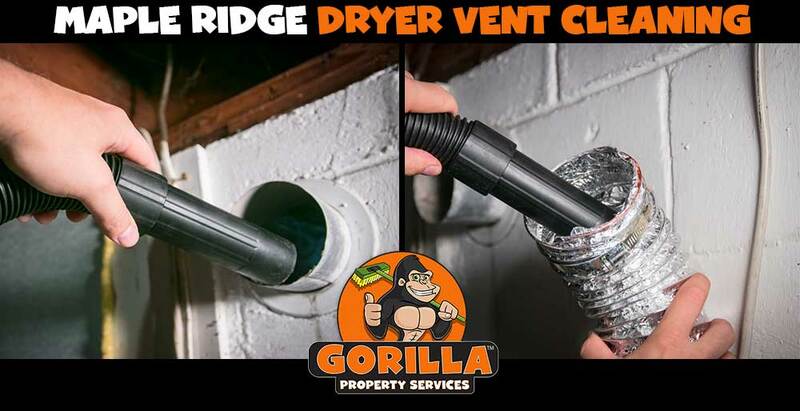 Our Gorillas are local to your area, so you can count on prompt, informed customer service for your Maple Ridge dryer vent cleaning.